Almost three years ago I wrote an article about Crow recognition. I set myself out to photograph and document the local families with the quest to recognize them. 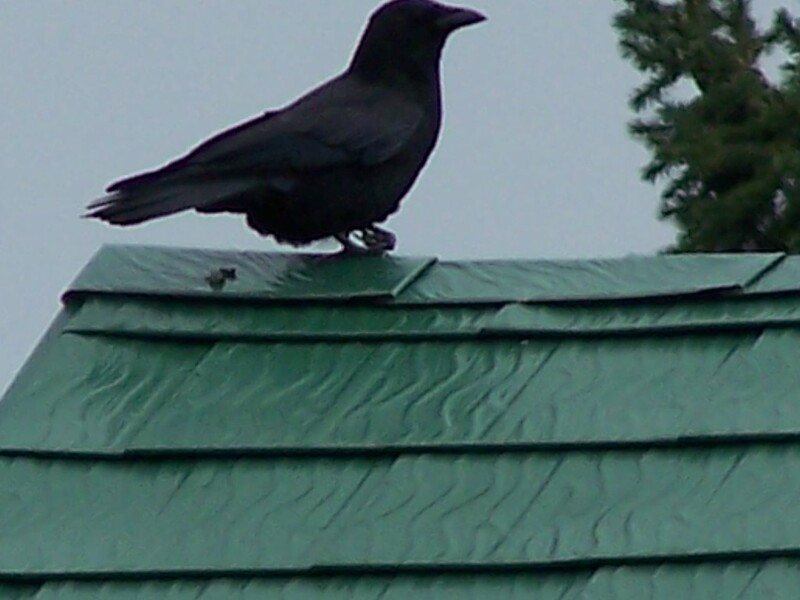 Here is a link to that post so you can read up on my plan and follow a link to see if you can tell crows apart. This article is from NPR called “The Crow Paradox”. They can tell us apart but we humans can’t identify them even if our life was at stake. Now years later, I want to regroup on this topic with the few crows I do know. The reason I know them is they are either gimpy, banded or major regulars of mine. Quite a few of these birds I have written about and have been watching for many years. 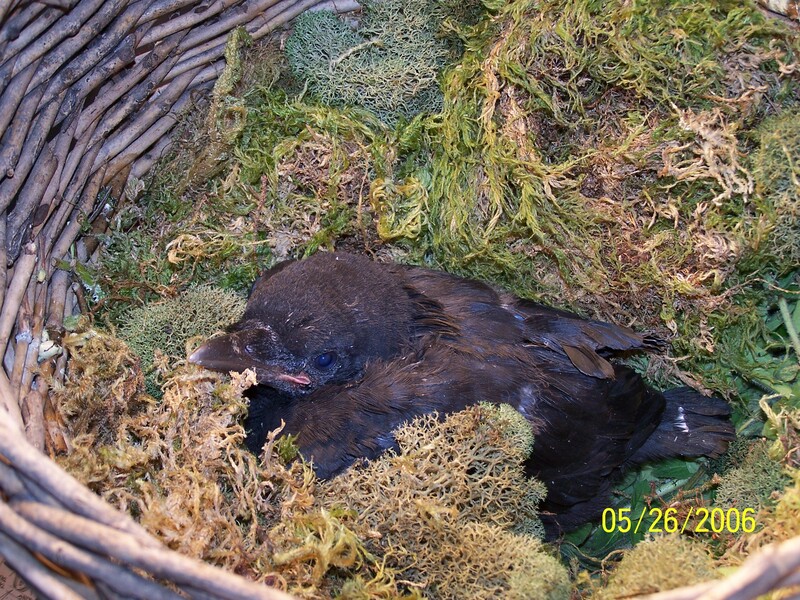 First is the crow I think is Ellie the baby crow we raised in 2006 after she fell out of a tree across the street. She is gimpy with a twisted foot, so she hops on one foot like a ballerina. She is a very determined crow and tells the rest of her family what she thinks when I throw food on the street. She will give them a good cawing and acts like a crow in charge. Next is a crow up on 39th that is much shyer than Ellie. 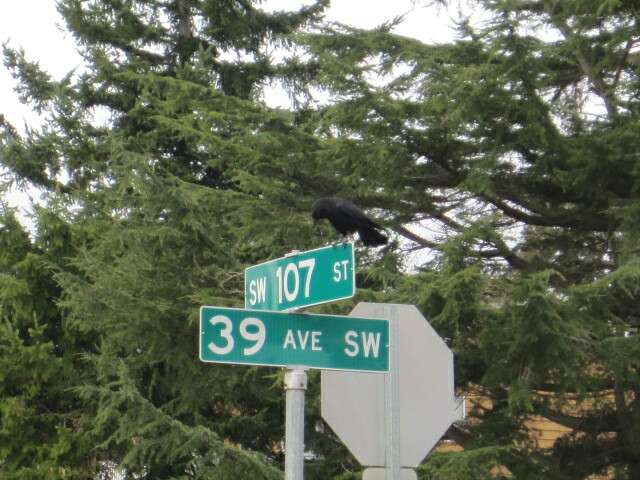 She is usually with her mate between 108th and 106th. There are times she will come down and get a peanut or piece of bread and then there are times she will hang out in the fir tree. She squats down lower than Ellie and seems to balance her breast on things. 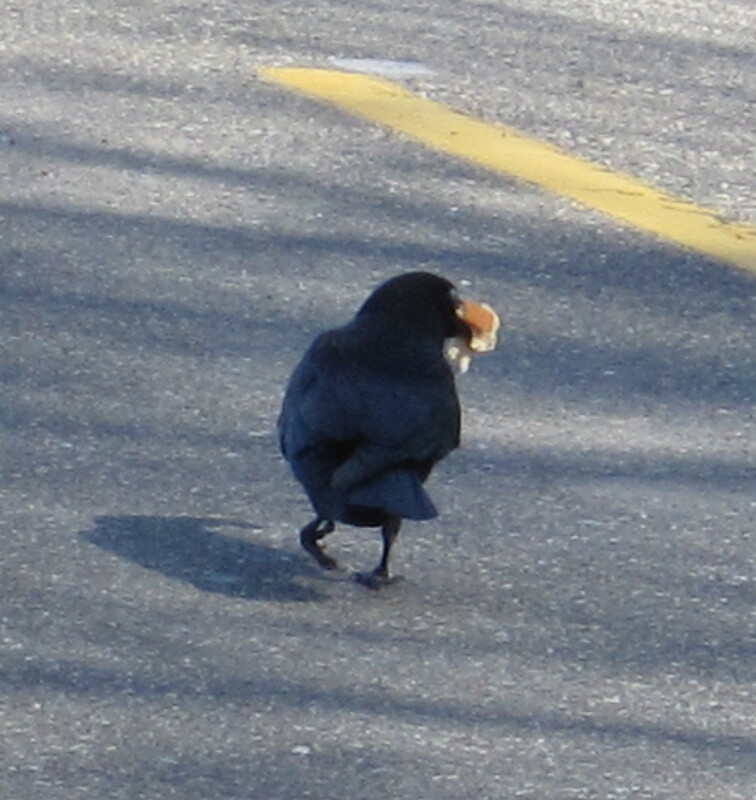 Good shot of Gimpy Crows bad foot. 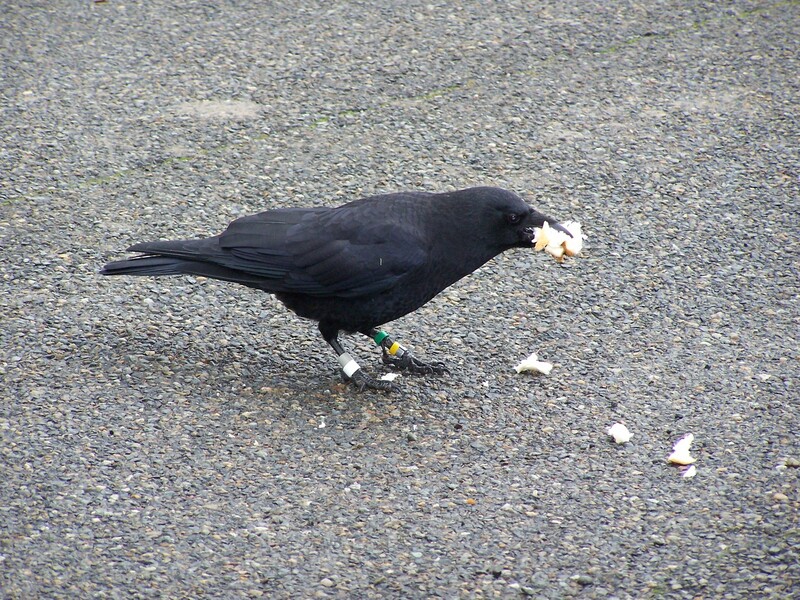 Banded Crow with White band around 39th & 102nd. Last today is Mochs who hangs out in our back yard. Well, he isn’t there all the time but does swing by daily for a bite or two. He is the crow featured in the tortilla crow post I recently did. He has quite a taste for human food. We had an extra piece of pumpkin pie that he made quick work of yesterday. 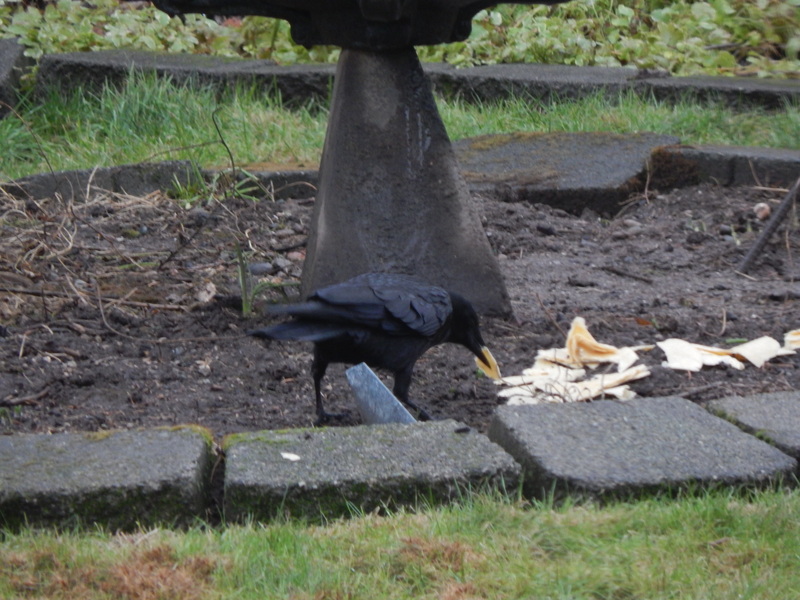 There was other bread put out with it but he went right for the pie. No doubt he knew that was a tasty treat to not be ignored. The other crows would bamboozle him out of it if he didn’t hurry.